The school principal of Dona Hortencia Salas Benedicto National High School (DHSBNHS) in the Division of La Carlota City was impressed of the community service project of La Carlota Philippines District conducted in his school on April 27, 2013. The LDS community service project dubbed as "Pasalamat Service Project" in line with the annual Pasalamat Festival of La Carlota City had refurbished the 64-year old La Carlota City High School, now renamed as Dona Hortencia Salas Benedicto National High School. Mr. 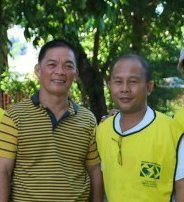 Deny Castaneda, retirable school principal of DHSBNHS was satisfied with the one-day community service project of La Carlota LDS. 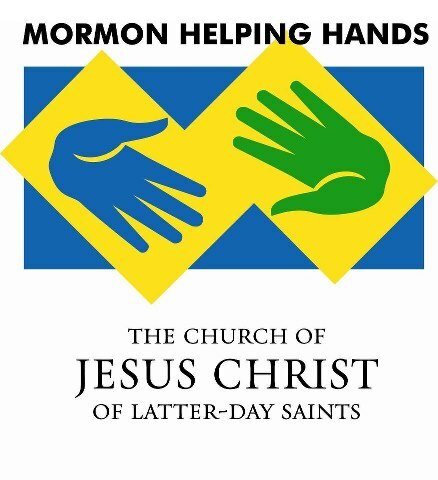 He said in his statement that those who actively participated in this community service project of the Mormons especially by those volunteers had personally achieved the following: increase in personal satisfaction, making friends and meeting new people learning new skills and maintaining the new ones, and gaininng work experience, health and well-being. He appreciated the service shown by the members of LDS Church. "Service allows us to practice doing what Jesus would do. It connects us to those we serve and give us a kind of satisfaction that ourselves can never offer. Through this activity, people realize the importance of volunteering time and energy for the benefit of others," the principal concluded in his statement. 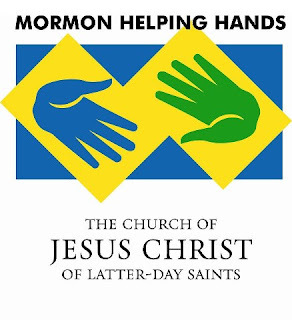 Those LDS members who join in this National Day of Service (NDS) wore an international vest with an inscription of "Mormon Helping Hands" Those who wear this vest have dignity and genuine interest of helping those in need in all aspect of their lives. It's good that there are helping hand projects done by your church. I'm sure there were a lot of people who benefited from this project. This is a humanitarian kind of project which our Church is doing all over the world. This is an international activity to help the community, the needy and also those who really in dire needs. This is not only done here in our locality, but around the world, in every nook and corner of it as long as there's our Church.